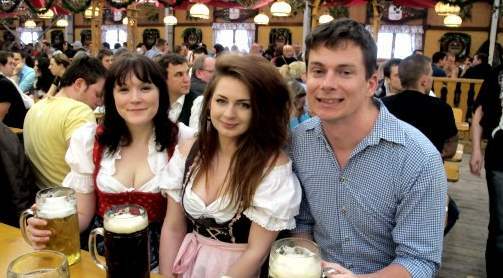 For a long time, travellers overlooked Germany as a destination in favour of Europe's Mediterranean glamourpusses - Italy, France and Spain. 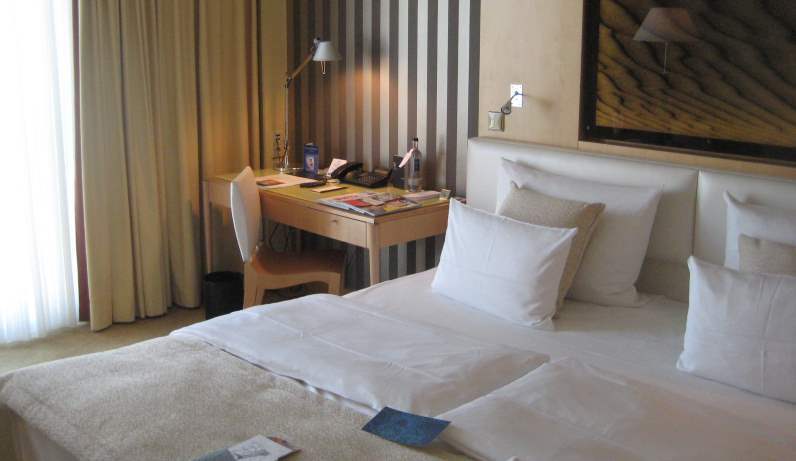 But with its world-class cityscapes, charming medieval towns and natural beauty spots more and more visitors and heading for the heart of the continuent and opting for a Germany holiday. 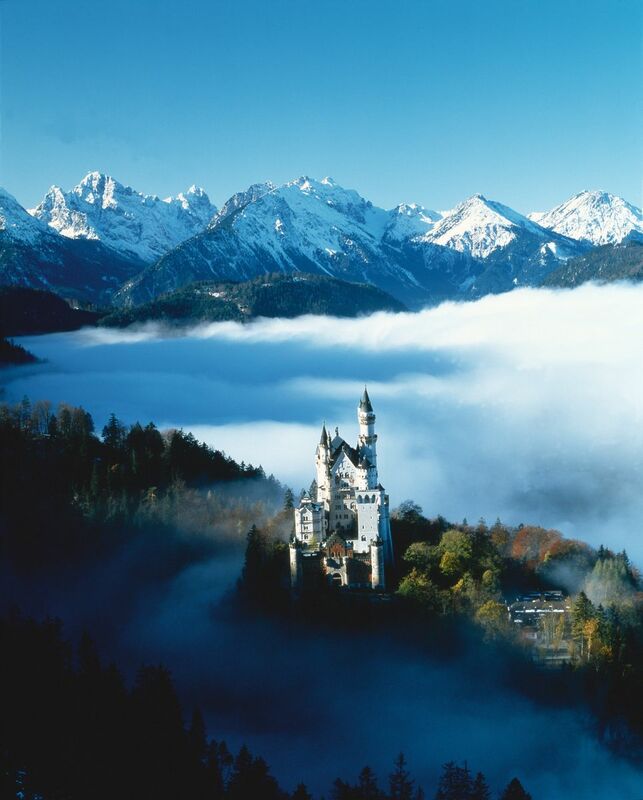 Here are the top 21 attractions in Germany, as voted by you in a German National Tourist Board poll. 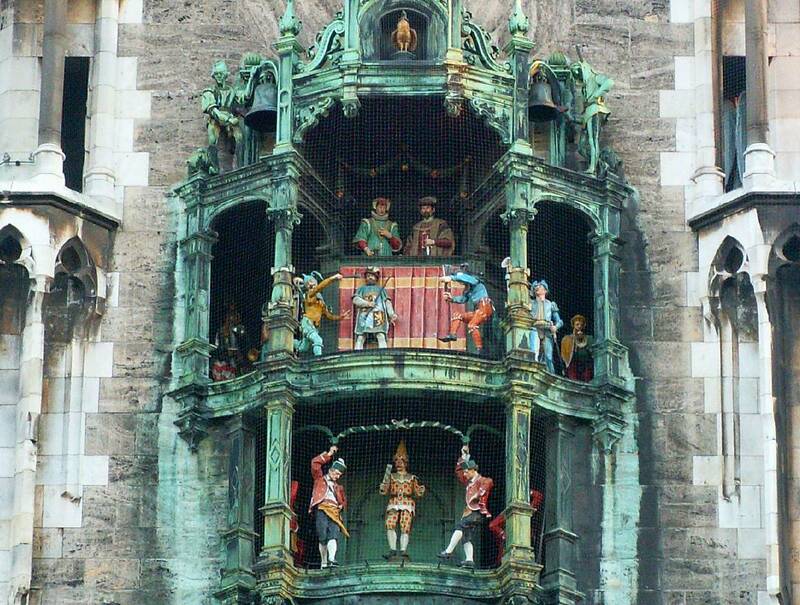 Mary is the Patrona Bavariae, the patron saint of Bavaria, and Marienplatz with its towering St. Mary's column is the oldest and most central square in the heart of Munich. 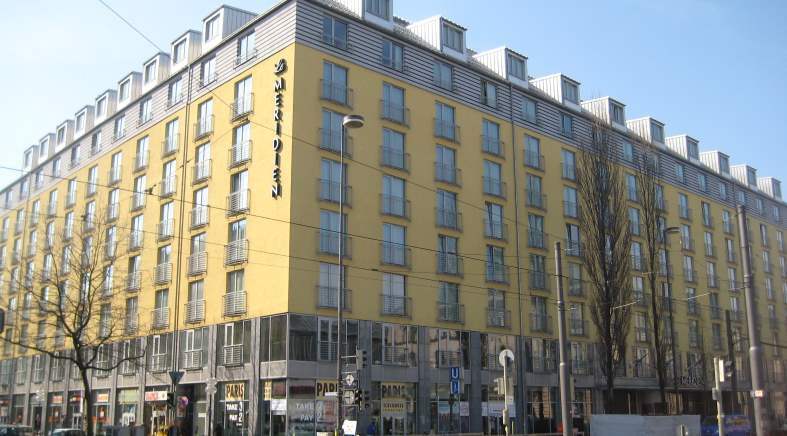 At the centre of the pedestrian area, it provides a setting for a number of major events and is the ideal base from which to explore the city. 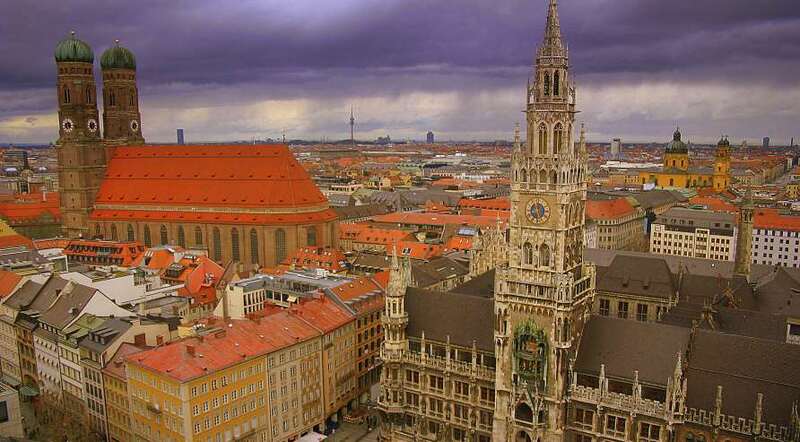 Close by are some of Munich's most exclusive shopping streets, markets and beer gardens, as well as the trio of famous city gates – Isartor, Sendlinger Tor and Karlstor. 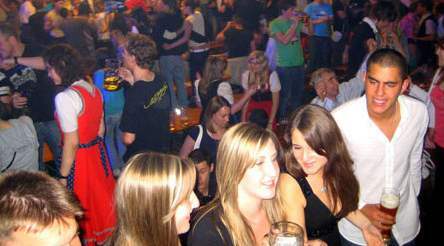 It may sound like a German bar, but the Deutsches Eck (German Corner) is actually a spit of land at the confluence of the Rhine and Moselle. 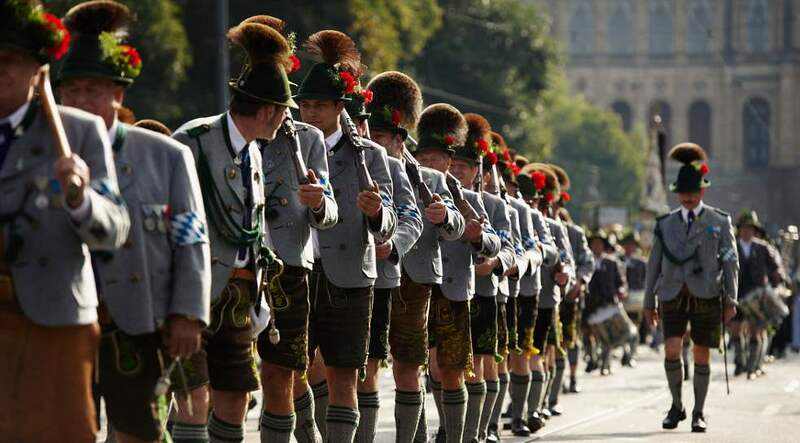 It got its name from the Teutonic Order of Knights which settled here in 1216 and a monument to Kaiser Wilhelm I was built here to commemorate the unification of the German Empire. 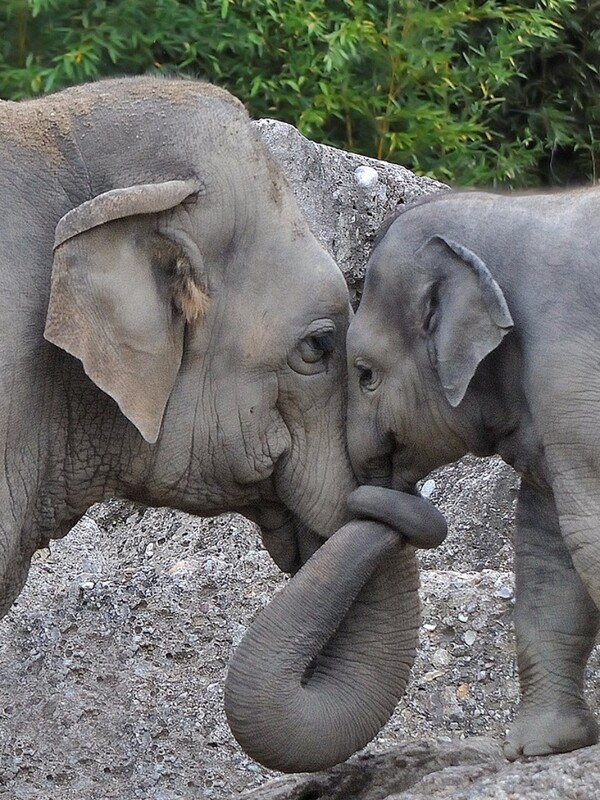 You won’t get this close to wild animals almost anywhere else. Natural enclosures, most of them without any bars and fences, make the Bad Mergentheim wildlife park in the Main-Tauber district a really intense family experience. The best thing is that the animals at the Bad Mergentheim wildlife park are just as happy as the visitors. Roughly 70 species of wildlife animals can be encountered here, including bears, lynxes, bison, elks and Europe’s largest wolf pack with almost 30 animals. 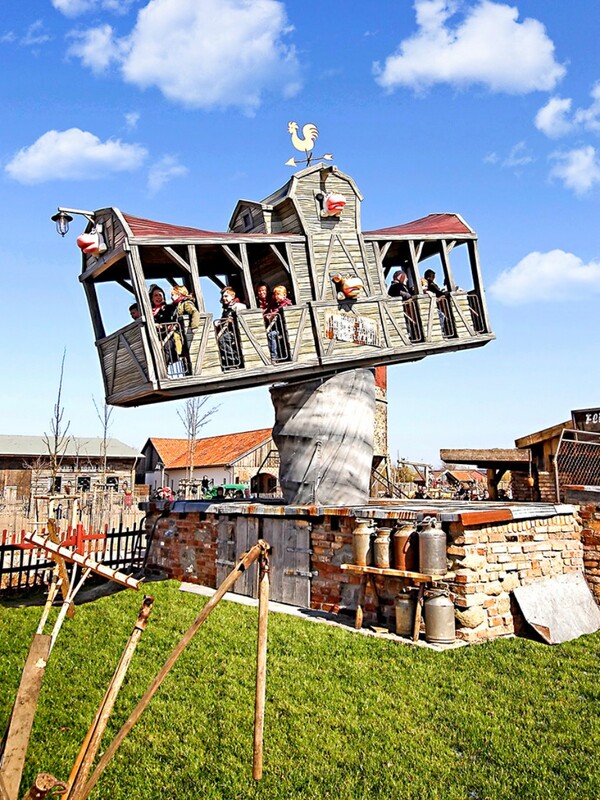 Karl's Village of Discovery is an all-weather, year-round destination for the whole family, offering farm-themed fun in Rövershagen near Rostock on the Baltic coast. At Karl's Village of Discovery kids can run around and play – inside and out – all day long. The park has tractor rides, a 'flying cowshed', adventure playgrounds, a children's farm, a daily animal show in the live arena, a butterfly garden with more than 200 tropical residents, a Bobby Car circuit, an inflatable bouncer, a zip wire and Cap'n Karl's playland with slides, climbing frames, a ball pit and much, much more. With 260 kilometres of footpaths and steep mountain trails on offer, boredom doesn't stand a chance. 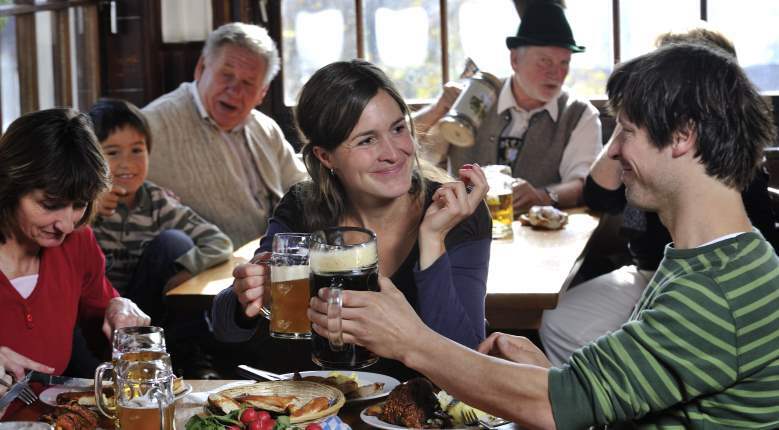 After a walk, you might like to cool off in Lake Königssee or order a hearty lunch at a traditional mountain lodge. 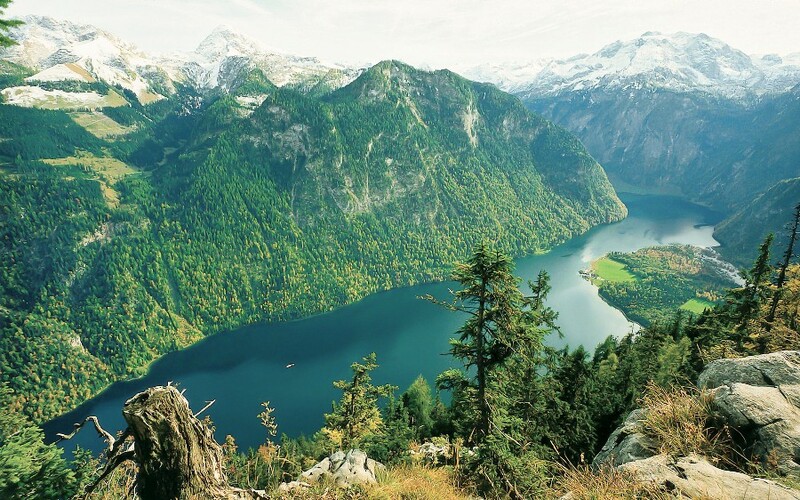 From mountain hares to alpine flowers In Berchtesgaden National Park, it's not unheard of to see an ibex or a marmot, spot a rare golden eagle circling the skies or discover a dragon's mouth flower growing at the edge of the trail. 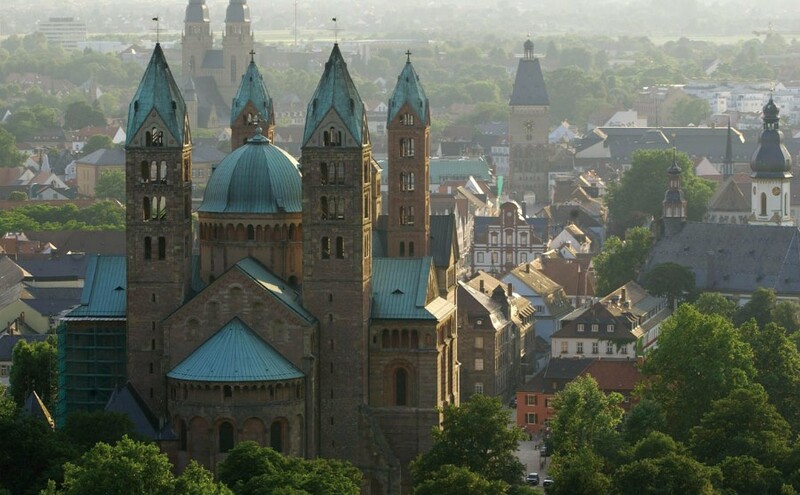 The imperial cathedral in Speyer, officially known as the Cathedral of St. Mary and St. Stephen, is the town's most prominent landmark. Laid out in the form of a Latin cross, it is one of Germany's largest and most important Romanesque buildings, and was intended to be no less than the largest church in the western world when building work began in 1030. Speyer Cathedral in the Rhineland-Palatinate region has long since ceased to be the largest church in the western world. However, it is still the world's largest surviving Romanesque church. 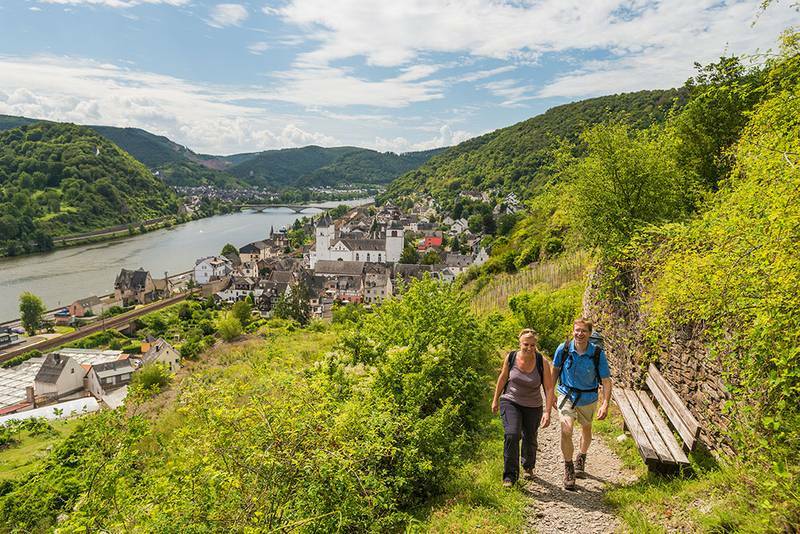 Historical buildings of international standing, remarkable churches and magnificent Roman remains all make a visit to this romantic city on the Moselle an unforgettable experience. 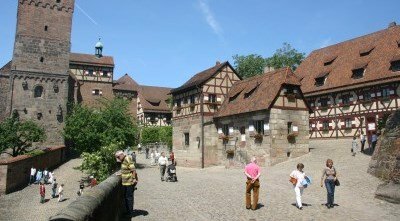 Trier, which is over 2,000 years old, presents an amazing range of cultural and historical attractions for art lovers and history buffs alike. 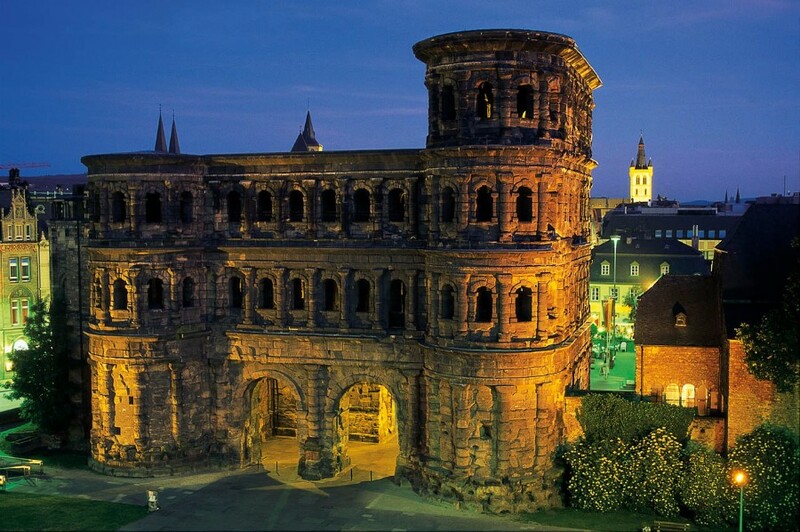 Resident Roman emperors, bishops, electors and ordinary people have all made Trier what it is today, and the city's long list of World Cultural Heritage sites bears witness to its colourful past. 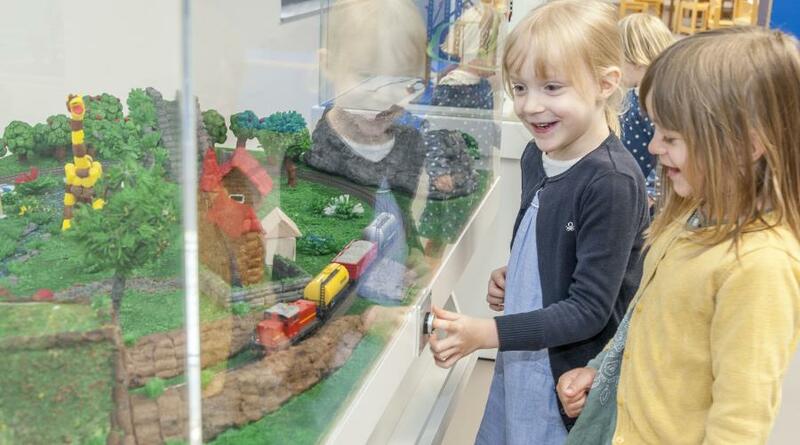 Open since 1998, Ravensburger Spieleland is home to the 'biggest playroom' in the world and is absolutely ideal for families with children aged three and above. 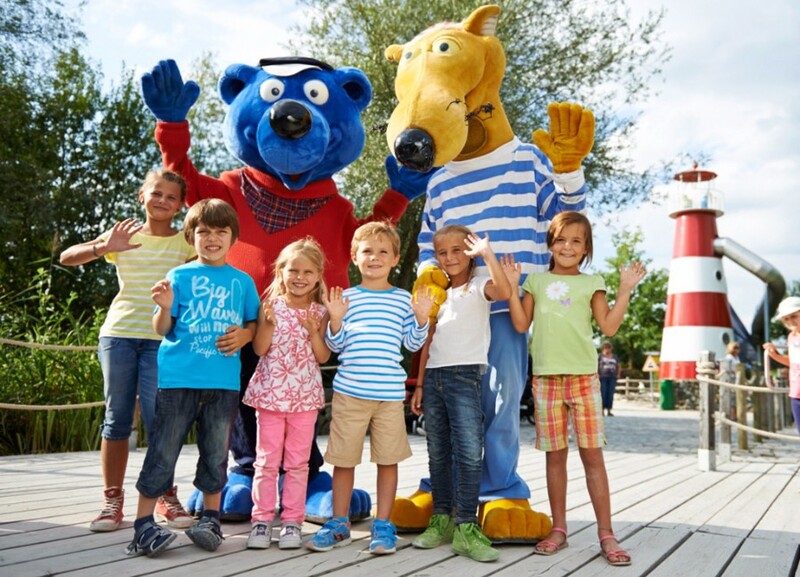 At Ravensburger Spieleland, little ones can whizz along the Fix & Foxi toboggan run at lightning speed, have a go at the giant puzzle or hurtle down the 60m waterslide in Professor Knox's turbo boats. 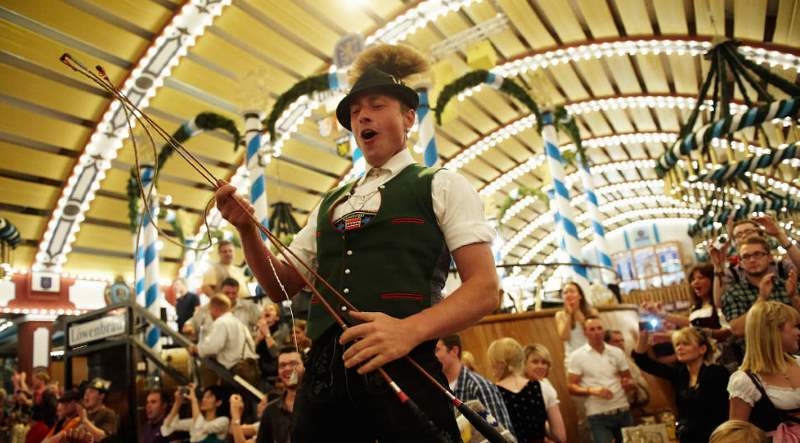 What captivates people most about the Black Forest National Park is its untamed beauty. As you explore the deep-green forests, you'll be spellbound by the wild and dramatic scenery and the far-reaching views. This 10,000-hectare national park in Baden-Württemberg is situated in the North/Central Black Forest Nature Park, and with mountains reaching up to 1,000 metres it offers enjoy glorious views of the Rhineland Plain and the hill ranges of the Black Forest. Churches, towers and bridges, great culture and glittering festivals: Erfurt offers medieval charm in abundance and a rich history combined with a lust for life and a warm welcome. 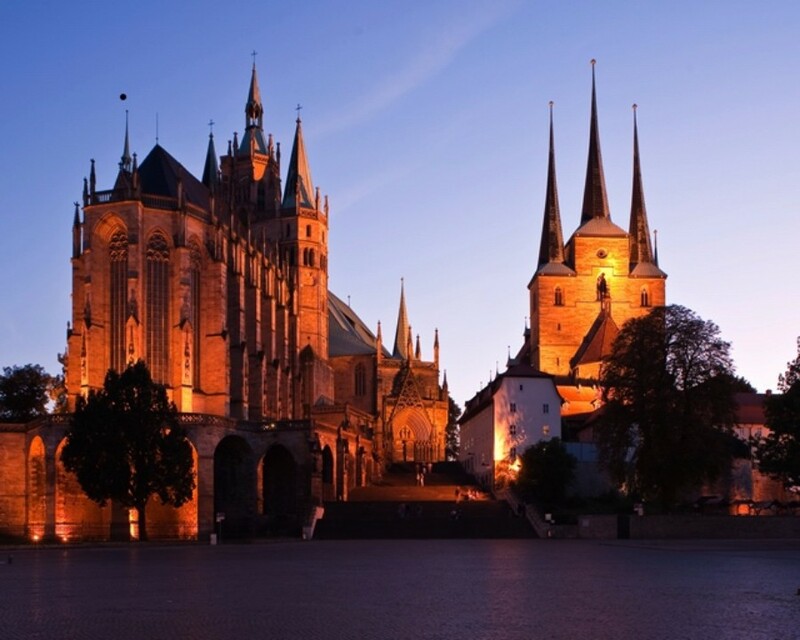 Situated at the crossroads of ancient German and European trade routes, the regional capital of Thuringia has always been popular with important intellectuals and is a self-assured, proud centre of innovation, as well as a magnet for visitors from around the world. 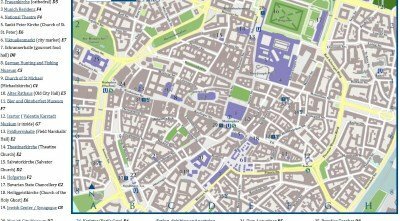 There have been churches on the site of Cologne Cathedral since the 4th century. However, it was not until 1248 that this city on the Rhine became home to one of the foremost cathedrals in the Christian world – a masterpiece of Gothic architecture. When it was completed in 1880, it was the tallest building in the world. When travelling along the Moselle Wine Route, visitors should definitely stop off at one of the nearby castles, many of which even host banquets and offer accommodation. You can enjoy exquisite wines in the idyllic wine-growing areas – the region's winemakers have been taking the top spots in national and international rankings for years. 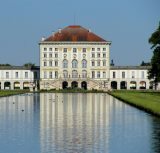 Munich's Hellabrunn Zoo opened in 1911 in the Isar floodplains conservation area. With more than 19,000 animals in around 40 hectares of grounds, it is one of the biggest and most bio-diverse zoos in Germany and was the world's very first 'geo-zoo'. Hellabrunn Zoo is home to more than 19,000 animals from around 750 species. Penguins, elephants, kangaroos, sea lions, birds of prey and tigers: from the most comical of monkeys to the cutest of cubs, animals from all continents are grouped together here with other creatures from the same geographical regions. 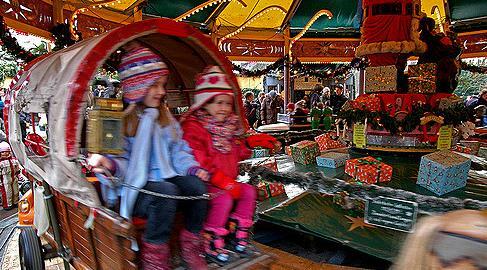 There's something for all the family at Phantasialand in Brühl: from the steam carousel, exciting playscapes and activities for the little ones to the log flume, loop-the-loop rollercoaster and spectacular live shows. 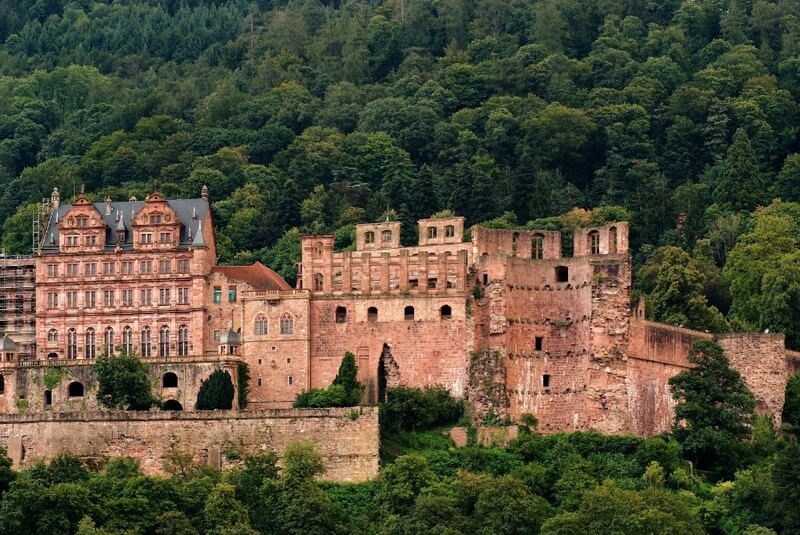 It is the paradox of seeing something so magnificent in a state of such beautiful ruin that gives Heidelberg Castle and its park such a captivating aura. There are many ways to interpret or define culture. But it can be easily summarised with just one word: Dresden. The sheer abundance and splendour of the city's cultural treasures are enough to take your breath away. 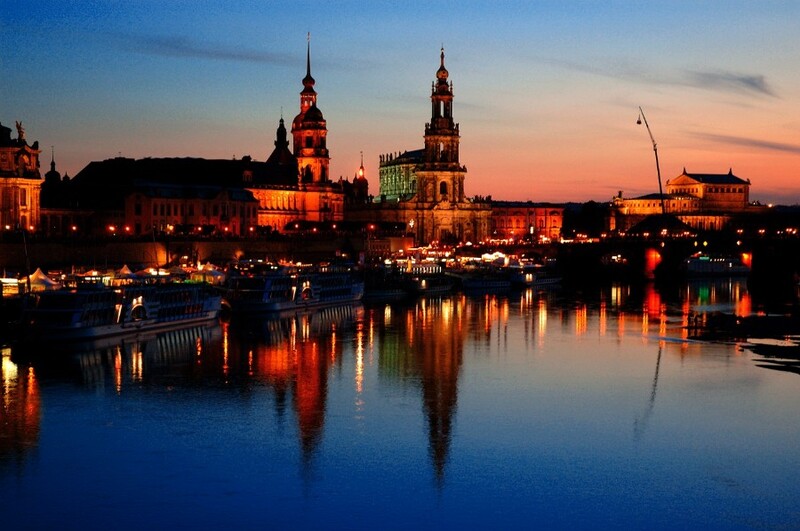 And since Dresden also just happens to be set amidst a stunning river landscape, your amazement is soon accompanied by pure delight. Rothenburg ob der Tauber is a small town with a big reputation. 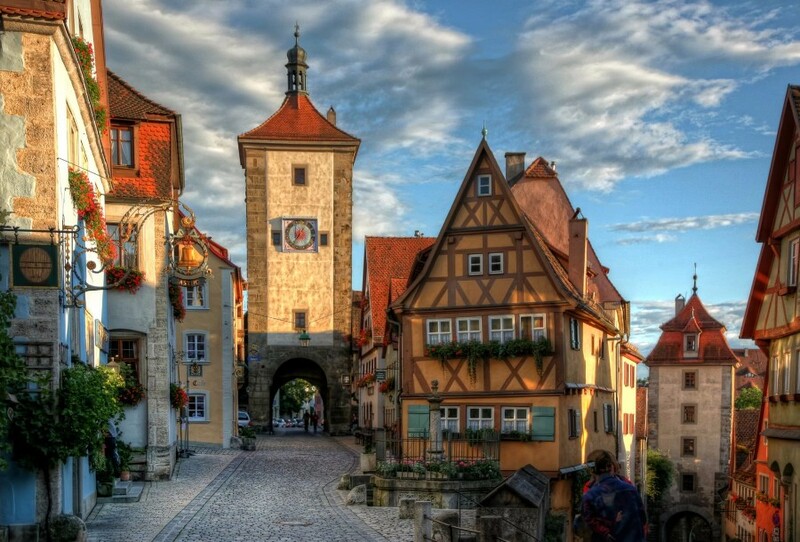 Nowhere else will you find such a wealth of original buildings dating from the Middle Ages. You can't help but ask yourself whether time has stood still, as you amble past the beautiful old houses, secluded squares and tucked-away corners of the old quarter, where towers, taverns and town gates alternate with fountains, fortifications and former storehouses. 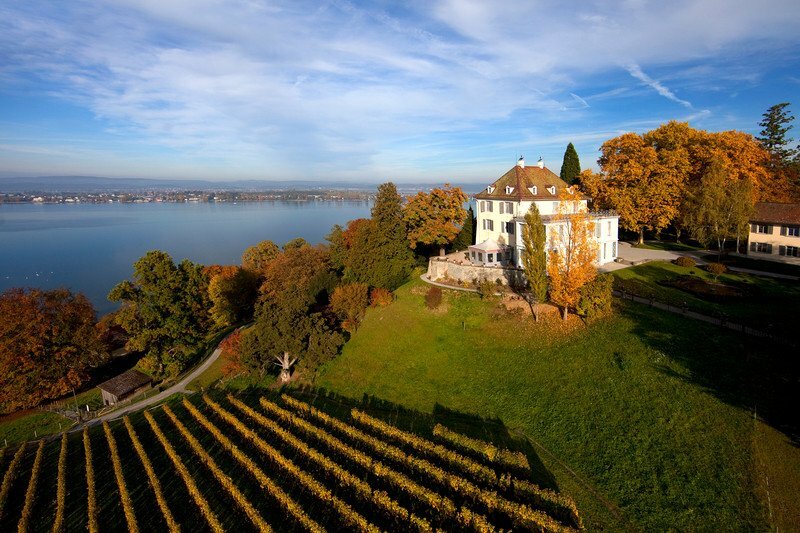 The most popular excursion is to the Flower Island of Mainau, famous for its magnificent park and gardens surrounding the baroque family residence of Count Bernadotte. 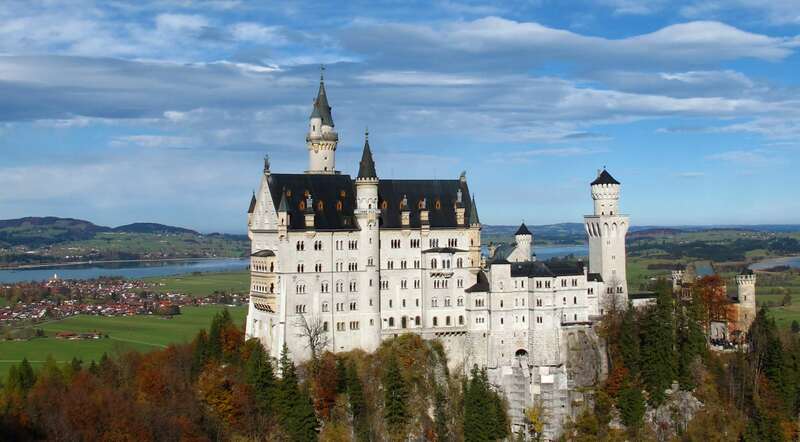 Neuschwanstein is known all over the world as a symbol of idealised romantic architecture and for the tragic story of its owner. Ludwig II's ambitious project, begun in 1869, united aspects of Wartburg Castle with those attributed to the Castle of the Holy Grail from Wagner's 'Parsifal'. 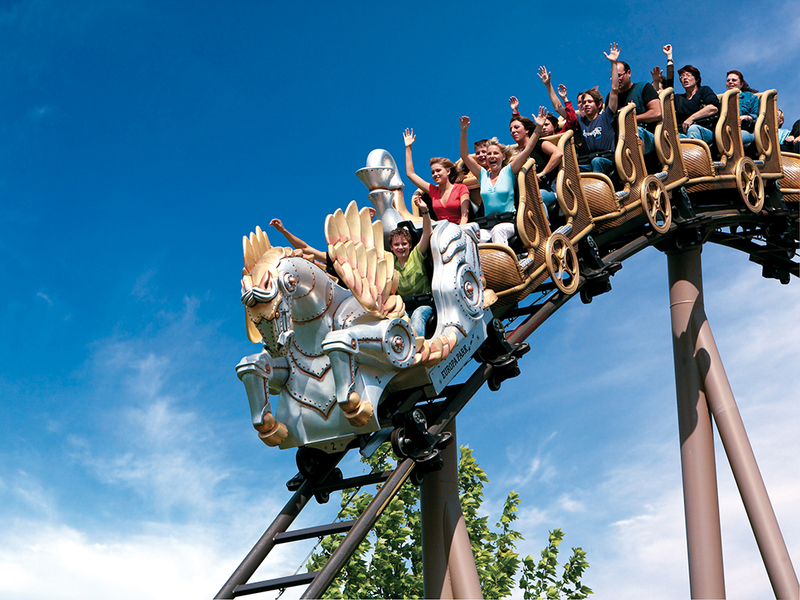 If you haven't already been to Europa-Park in Rust, then what are you waiting for! 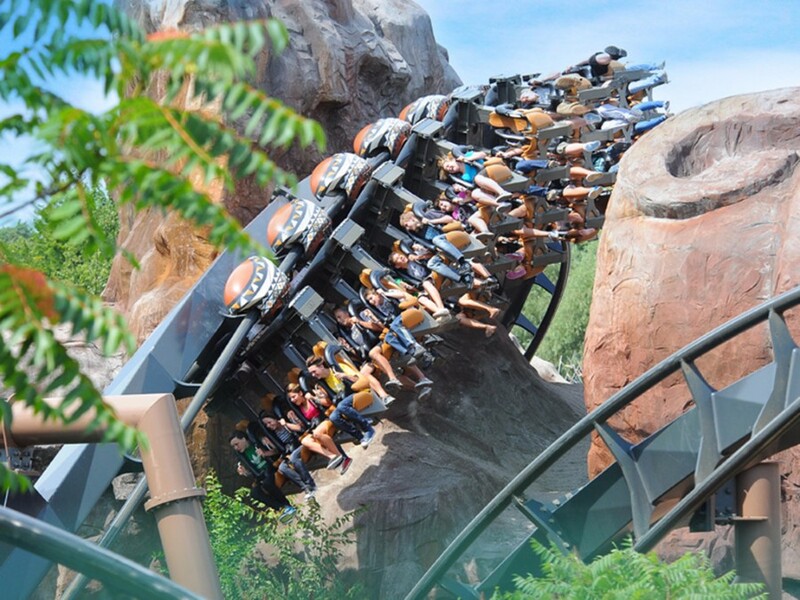 Located in south-west Germany between Freiburg and Offenburg, Europa-Park is the biggest theme park in the German-speaking countries and one of the few that is open in winter. 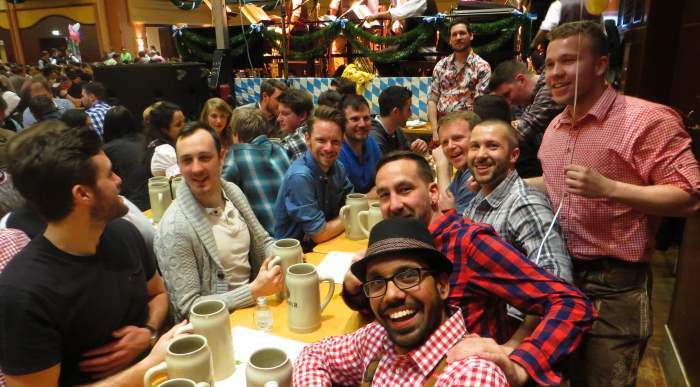 If you come to Europa-Park looking for fun, excitement and adventure, you won't be disappointed. 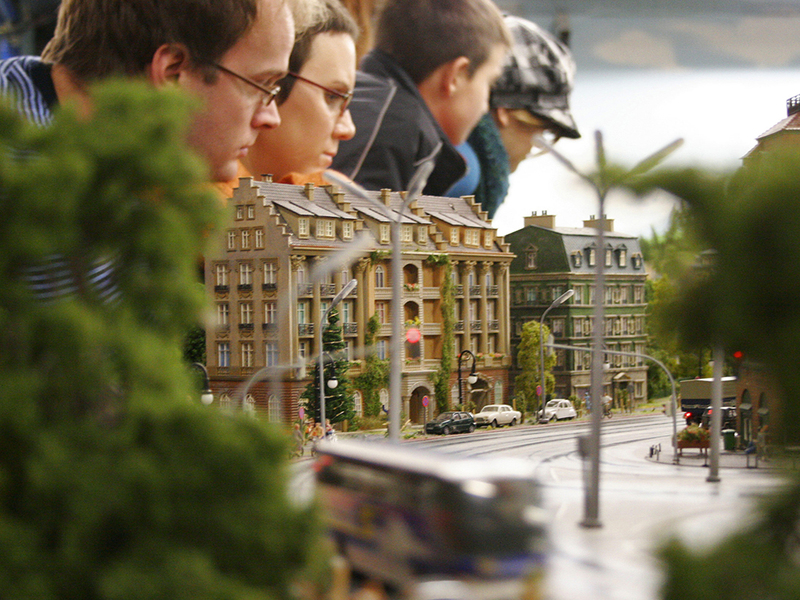 There are all kinds of exciting things going on at Europa-Parks' 95-hectare site. Visitors are taken on a journey through different countries and continents, through realistic miniature landscapes and worlds of fantasy. There are discoveries to be made everywhere you look. From Hamburg with its port, it's just a few short steps to the Grand Canyon, intersected by a long-haul train crossing a huge wooden bridge. 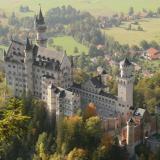 So what's your favourite of these top German attractions? Or is your real favourite missing from the list? Please let us know in the comments below. 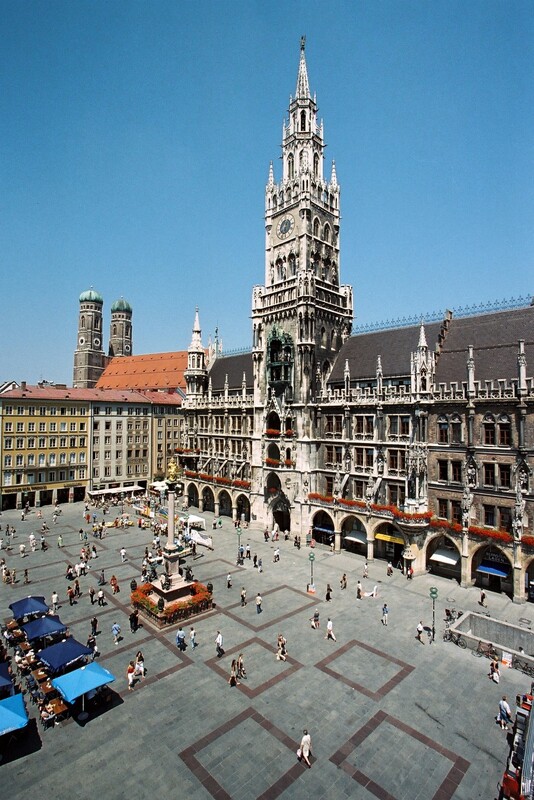 • Frauenkirche - Munich's grand cathederal with a weird stamp of approval. • Juliet Statue - A tribute to a star-crossed lover.